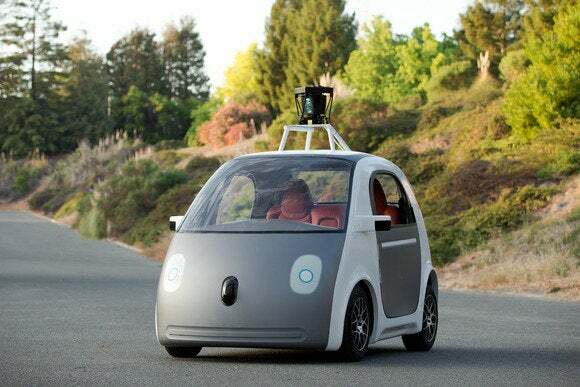 Google's self-driving car: How many Googlers are driving this thing? Google says its self-driving cars can make driving safer because they pay better attention to the road than humans do—though there have been dings along the way. While smartphones and other in-car distractions can fatally hinder a driver’s concentration, “a self-driving car has people beat on this dimension of road safety,” says Chris Urmson, director of Google’s self-driving car program. With 360-degree visibility, the newest sensors in Google’s fleet can keep track of other vehicles, cyclists, and pedestrians to a distance of nearly two football fields, he wrote in a post on Medium on Monday. Still, Google’s cars have been involved in 11 accidents in the six years the company has been testing them, Urmson reported. The fleet of 20-plus cars has covered 1.7 million miles of autonomous and manual driving in that time. In all cases, there was only light damage and no injuries. And not once did a Google car cause the accident, he wrote. Urmson’s post appeared after the Associated Press reported on Monday that Google’s cars had been involved in three accidents just since September. The post lays out some of what Google has learned so far in testing its cars, including observations on drivers’ actions that can lead to collisions. The post also highlights an issue that Google and other autonomous driving hopefuls must address before self-driving cars go mainstream: how to recognize and respond to the wacky driving habits of humans. Take intersections: To account for the possibility of another driver running a red light, Google has programmed its cars to pause briefly after a light turns green before proceeding into the intersection. 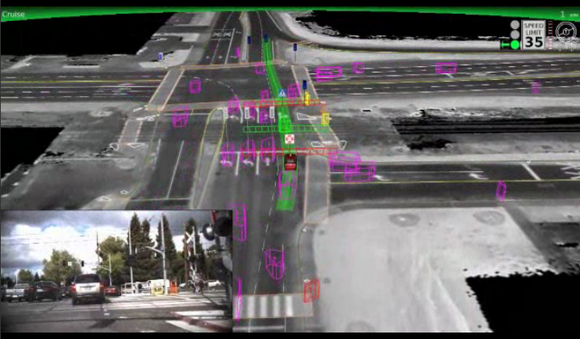 With their software and sensors, Google’s cars can take action earlier and faster than an alert human driver, he wrote. But sometimes they can’t overcome the realities of speed and distance, and they get hit just waiting for a light to change. Out of the 11 reported accidents, Google’s cars have been hit from behind seven times, according to the post. That happened mainly at traffic lights but also on the freeway. The company’s cars have also been side-swiped a couple of times and hit by a car rolling through a stop sign, the post said. Google’s cars now average 10,000 miles of autonomous driving a week, mostly on city streets near Google’s headquarters in Mountain View, California. The post also illustrates some of the ways in which Google’s cars have successfully reacted to human drivers’ erratic actions. Google says it has observed drivers making right turns from the lane to the left of its self-driving cars, cutting sharply across the Google car’s path.